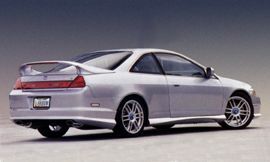 2000 Honda Accord Coupe - Greddy, Eibach, Body Kits, Aftermarket parts for sixth gen Honda Accords! Wings West, Iceman and DC Sports. 2000 Honda Accord Coupe - Greddy, Eibach, Body Kits 2000 Honda Accord Coupe - Greddy, Eibach, Body Kits, Aftermarket parts for sixth gen Honda Accords! Wings West, Iceman and DC Sports. 2000 Honda Accord Coupe - Greddy, Eibach, Body Kits 2000 Honda Accord Coupe - Greddy, Eibach, Body Kits, Aftermarket parts for sixth gen Honda Accords! Wings West, Iceman and DC Sports. 2000 Honda Accord Coupe - Greddy, Eibach, Body Kits 2000 Honda Accord Coupe - Greddy, Eibach, Body Kits, Aftermarket parts for sixth gen Honda Accords! Wings West, Iceman and DC Sports.